As I am a keen football fan and Burnley supporter (Up the Clarets), I have an interest in football injuries and most of what I see are knee injuries. Knee Ligament injuries are the most common, particularly the Anterior Cruciate Ligament (Michael Owen) and Medial Collateral Ligament. These injuries occur when there is too much strain put on the knee, a twisting or turning action damages the knee or direct contact from another player damages the ligament. My role is to aid the patient’s return to football as soon as possible, following an injury. An MCL sprain is much easier to treat, as the ligament is on the outside of the joint, so I can promote healing through the use of electrotherapy, such as ultrasound or laser, massage over the ligament to increase blood flow to aid healing and issue exercises to strengthen muscles that support the joint and start specific drill training. If the ACL is completely ruptured, surgery is the only option, and rehab after this can take up to a year. Confidence can be a big issue after this injury, as players are often scared of being tackled again and suffering a similar injury. These cartilage tears can occur if the knee twists whilst it’s bent, such as changing direction in football. If this is only a minor tear, then conservative physiotherapy treatment can help such as acupuncture, which increases blood flow to that area to promote healing. 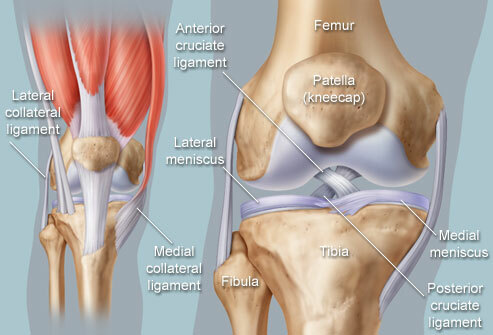 But if it is a complete tear, surgery may be required in the form of an arthroscopy to repair the torn meniscus. Luis Suarez tore his meniscus, but with intensive physiotherapy every day, he was able to play in the 2014 World Cup just 6 weeks post injury, which shows the importance of seeking physiotherapy as soon as possible. If you think you are the “Bees Knees” at football or pick up a knee injury whilst playing sport, then let us nip it in the bud quickly. Kate Franzke (second from right) qualified in physiotherapy at York St John University in 2007 with a First Class Honours Degree. Kate has worked for Burnley Football Club and local rugby teams, and plays badminton for Nelson and Colne College. 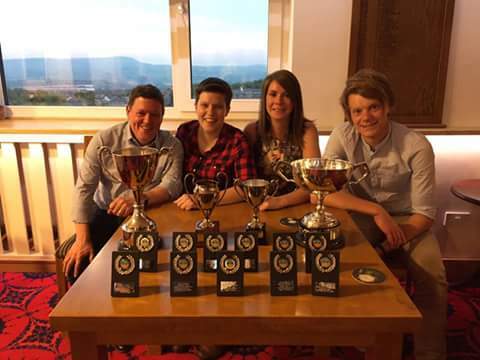 Kate has worked at Burnley FC for two six week stints, so has rehabilitated many footballers producing great results. She is well known for ‘making a racket’ from time to time!